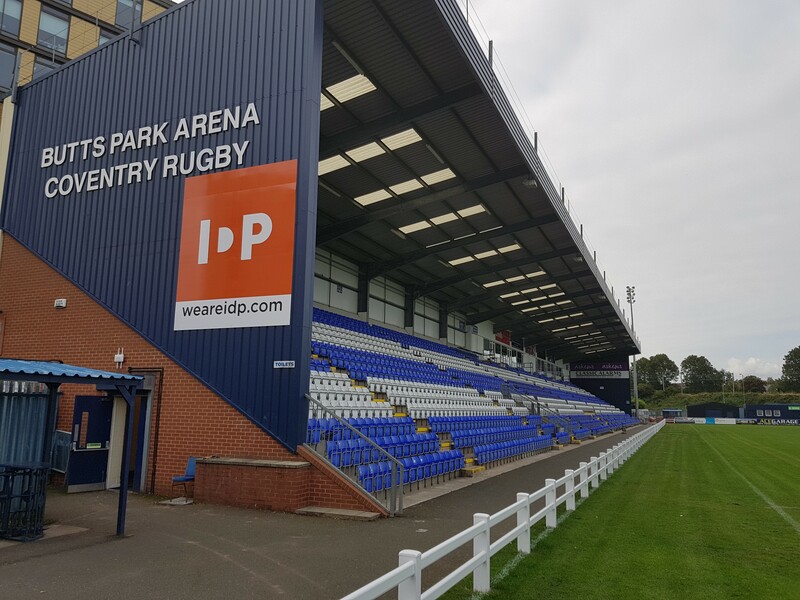 Coventry Rugby scored eight tries in a quite remarkable game of Greene King IPA Championship rugby, but were still unable to sentence Bedford to a second home defeat of the season. 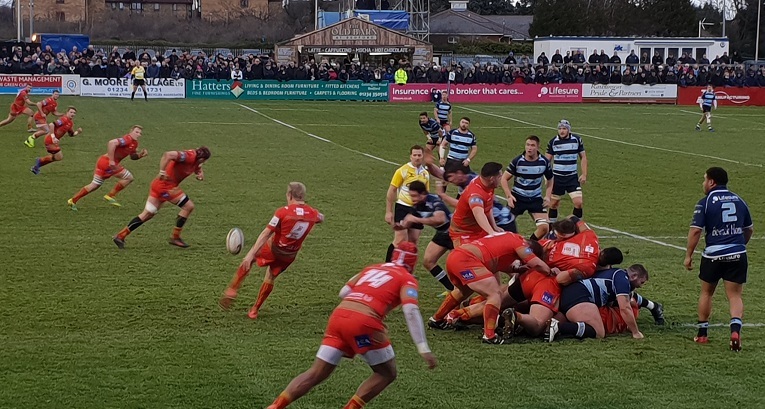 Led by a Rob Knox double, some outstanding attacking rugby saw Cov build a 35-14 lead at the half-hour mark, which Bedford reduced to a seven-point deficit at the break. 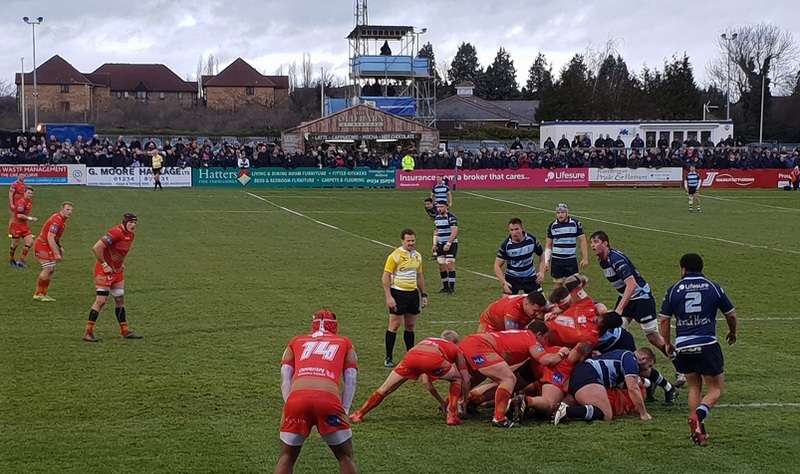 The lead then changed hands five times during an end-to-end second period during which Ben Nutley scored twice before home winger Ryan Hutler’s injury-time try ensured the visitors left Goldington Road with only two bonus points. Cov, who also registered the highest-ever score by a losing team in the Championship, now lie in eighth place after 13 rounds of league action following wins for Doncaster Knights and London Scottish. Cov got the scoring underway in a breathless first half when Scott Tolmie finished off a lineout drive after breaks from Heath Stevens and Adam Peters made initial headway. Tony Fenner converted, as he did on four further occasions before the break. Bedford were level on nine minutes through scrum half James Lennon, who took an inside ball from Pat Tapley following Jake Sharp’s long pass. The Blues’ former Coventry No.10 tagged on the first of his four first-half conversions. Cov were 14 points ahead by the end of the opening quarter following two more superb tries. The first was finished by Knox, who sprinted over from 40 metres following a lineout, after which Tom Jubb applied the finishing touch to a flowing move featuring Andy and Junior Bulumakau plus Peters. Home flanker Huw Worthington was then on the end of a neat handling interchange started by No.8 Jarad Williams’ powerful carry, only for the visitors to immediately bank a bonus point when Dan Faleafa and Junior Bulumakau sent Knox speeding to the corner. Incredibly, Cov claimed a fifth try in 30 minutes through full back David Halaifonua – following Tolmie and George Oram carries – only for the Blues to cut their interval deficit to seven points with two further converted scores. Sharp’s precise grubber sent Hutler over for the first of these after which the hosts secured a bonus point when their skipper Mark Flanagan twisted over in support of a strong Jacob Fields carry. This meant the visitors led by seven points at the end of a half which had seen 63 points scored and no scrums, however they lost Pete White to the sinbin for a late tackle immediately following the restart. Bedford took advantage by driving Williams over from close range, after which Sharp’s conversion and simple penalty put the hosts ahead for the first time. And they extended this advantage shortly before the end of the third quarter when full back Rich Lane returned a Kessell box kick 60 metres to go under the visitors’ posts for a sixth converted try. Now trailing by ten points, Cov had to claim the next score – which they did when prop James Gibbons applied the finishing touch to a well-organised lineout drive to claim a try which Fenner converted. This incredible match took another twist when Stevens’ pass set Nutley on a slashing line through midfield to the home line and in the process put Cov back ahead. As the contest entered its closing minutes, the visitors lost Fenner to a shoulder injury and were forced to reorganise by moving Australian sevens international Ben Adams to centre. And although they slipped behind for a second time when Sharp slotted a 35-metre penalty awarded for offside, Cov looked to have claimed all five points when Halaifonua and Adams sent Nutley over for his second try two minutes into added time. But there was a sting in the tail deep in injury time when Bedford threw everything at one final assault which eventually ended with Hutler going over for the match-clinching score. Bedford Blues: Rich Lane; Ryan Hutler, Lewis Robling, Chris Czekaj (Matt Worley 61) Pat Tapley; Jake Sharp, James Lennon; Sean McCarthy (Toby Trinder 59), Jacob Fields (Charlie Clare 50), Ben Cooper (Alex Penny 50); Ed Taylor (Will Carrick-Smith 65), Mark Flanagan; Justin Blanchet, Huw Worthington (Josh Buggea 55), Jarad Williams. Replacements not used: Joe Green. Coventry Rugby: David Halaifonua; Junior Bulumakau, Rob Knox (Will Maisey 59), Heath Stevens, Andy Bulumakau; Tony Fenner (Latu Makaafi 75), Pete White (Tom Kessell 52); James Gibbons (Charlie Beech 67), Scott Tolmie (Darren Dawidiuk 75), Phil Boulton (Josh McNulty 59); Tom Jubb, George Oram; Dan Faleafa (Ben Adams 55), Ben Nutley, Adam Peters. Posted in Match Reports, News and tagged Bedford Blues, Coventry Rugby, greene king ipa championship.